We have developers who are solely developing desktop applications and high-end software products. We develop highly user interactive applications for the industry as well as for personal use. We work on technologies that include high performance and minimal system requirements. We realize that the world is changing its trends from typewriter to keyboard and now from click to touch. Hence, we here at Software Incubator develop mobile as well as tablet apps. The apps we make are for Android, iOS and Windows Devices. Today in the market and even tomorrow, our apps never die. We offer great Websites and Web applications, understanding the clients' needs and requirements. We deliver the projects built using the latest technologies in the market-place at most trivial cost. We give a big hand to the latest trends in website development, especially SEO. The websites we deliver are fully secure and supports data security and integrity. Many of our team members are currently working on Machine Learning which is the latest approach to digital transformation making our computer processes more efficient, cost-effective and reliable. Here they study and construct algorithms that can learn on and make predictions on data. Such algorithms overcome strictly static program instructions by making data-driven predictions or decisions. Many of our team members are preparing for various prestigious contests which helps in writing efficient code with less time and space complexities. Here they learn and practice data structures and algorithms. Coding competitions are organized for the team weekly. Many of our team members are contributing to the various open source organizations like Mozilla Firefox and Bootstrap etc. and some of them also got selected for GSoC and Fossasia etc. It helps us to write standard code and understand how the tasks are carried out in an organization. App developed for national level technical paper presentation org. by AKGEC in collaboration with GMA(Ghaziabad Management Association). App allows the teams to register themselves, submit the synopsis & follow notifications. This website not only creates awareness among the people to donate blood for a noble cause but also makes it easier for them to get themselves registered on it. Around 1200 registrations were received this year. A website developed for open table tennis tournament organized by AKGEC to provide information regarding the same and to ease the process of registration. This is the official website of Ajay Kumar Garg Engineering college. The project was motivated towards advertising the college through the internet. This app consists of previous years question papers of both internal and external exams which allow the students to view and download the question papers in a more comfortable manner. An online tool to help people build their resumes easily and quickly in various formats available. An Online strategy game of Tech Trishna 2015. The objective of the game was to gather resources, attain skills to produce and consume items, or trade them with other players in the market. This time we made the game more interesting by including the theme of the Hollywood movie Tron Legacy and made it wide open for participation by including JAVA along with C.
An online game to check and develop managerial skills of the players. The game was very much engaging and received good response from the players. This website introduces people to the technical fest of AKGEC. From online registration to information of all the events held in the fest are provided by it. More than 1500 participants got registered themselves through this. An online quiz portal made to provide a platform to organize various quizzes and mock test for the students. A colloboration of the akgec and the company boschrexroth for giving students industrial training in different fields. Akgec-Live provides real-time notification to the students through an Android App and social media integration. Brackets was another successful game, that included solving a terrorist mystery by breaking the various cyphered codes and using it effectively. AKGEC has developed an alumni portal for all its alumni to help the passed out students to stay in touch with each other as well as the college, no matter wherever you are in the world. AKGEC jointly with IIT-Bombay has setup AKGEC-Fronius lab for educational Institutions at AKGEC, Ghaziabad. This lab aims to train students on embedded systems and to provide practical education to them. This is made to keep the teachers and students keep on sharing knowledge all the time, this allows the students to be updated by the teachers through quick notes and quick queries. KUKA Robotics Pvt. Ltd.td. a 100% subsidiary of KUKA Roboter GmbH, based in Augsburg, Germany. KUKA is the world leader in industrial robots technologies. KUKA Robotics is part of the worldwide operating KUKA Robot Group. Our website manages the inspection visit & appellate team activities of NBA. The system roles have been classified into NBA chairman and member secretary etc. Account software was made for better management of accounts in the college whether it was the student fees or any other financial prospects of the college. A collaboration of the akgec and the company boschrexroth for giving students industrial training in different fields. This was one of the major software products by SI that could be used by the officials of the Ajay Kumar Garg Engineering College for better, faster enrollment of students and quicker administration of student data. This was the first innovative game made as a part of the techtrishna 2011 group of online events. This is an online quiz portal. It is used to conduct an online quiz. 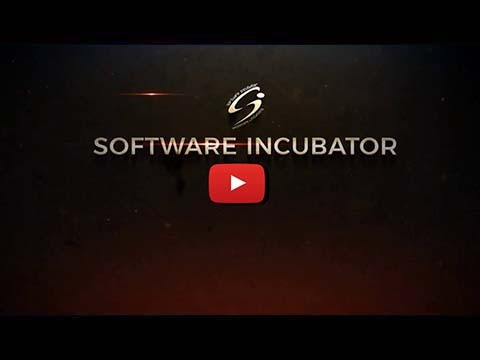 We at Software Incubator use it to conduct our induction test as well as other objective tests during our various classes. This was the first website for the Ajay Kumar Garg Management Institute, helping students pursuing their future in management to learn about the institute more efficiently. Ghaziabad Management Association aims to facilitate the anonymous users and members to retrieve all important information and update them regarding the present scenario and future plans of the association. Software Incubator is the research and development center established within the portal of Ajay Kumar Garg Engineering College. We have set a foothold in the areas of software development, web-based enterprise solutions, mobile development, web application, and website development. We focus on high integrity and commitment, quality and rigor at every stage of work, passion for excellence, focus on customer satisfaction. We are an equal opportunity organization that motivates every member to work with passion and commitment. We like to work with good people who want to create something new, something big even if it is outrageously insane. The quality of the products we deliver is unmatchable. To help grow your company and our team as well, connect with us. Adhyatmik Nagar Ghaziabad, Uttar Pradesh - 201009.